Google has another new product out. A slimmed down, streamlined version of the Android OS called “Go.” Unfortunately, it’s release didn’t gather as much press as you’d expect when a new OS is released. The reason for that is simple. The new, slimmer, sleeker Android Go was designed for low-end phones with limited storage capacity, which don’t typically get much press either. 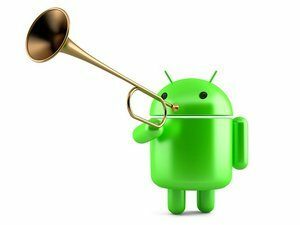 Despite the relative lack of fanfare, Android Go is an interesting app that deserves some attention, even if you don’t own a low-end phone. At first glance, it’s got a lot going for it, although it remains to be seen if users will embrace it and make full use of its capabilities. Second, it comes with an app called “File Go” that offers users suggestions on files that can be moved to the cloud or safely removed altogether. Another app known as “Datally” makes tools available to manage how much data other apps on the phone are using, especially helpful for people who have limited data plans. 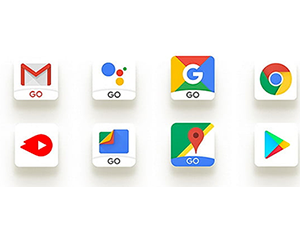 A streamlined Google Go is available for web searches as well as a lite Gmail Go app. Third, there’s a special “YouTube Go” version of the standard YouTube app that gives users three different video streaming options: basic, standard, and high quality. This comes with information about how much data each of the three options will eat up. In addition to those changes, Google has added a special section to its Play Store, highlighting apps that don’t require a lot of space. For example, there is Google Assistant Go, which allows users to set alarms, send texts, open apps, ask questions, and a ton of other functions, but is limited to the full Google Assistant so it cannot set reminders and control smart home gadgets and other functions reserved with the full version.